Sylvester Stallone almost died during Rocky 3 for being to fit. Why am I sharing? haha, because I am fascinated by the Rocky Bio film on the Bio channel. Pretty good by the way some good story’s, Like the 1st Rocky was made for 950k and made 117 mill. Oh My. Also the film was nominated for 10 Academy Awards and won 3 of them. 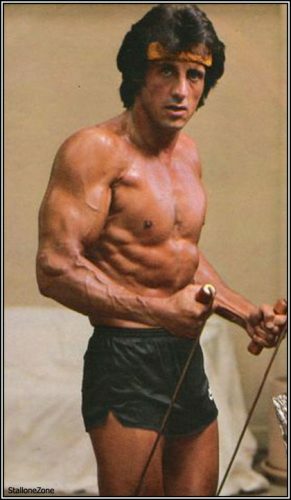 Thank you Sylvester Stallone for putting your health at risk to make classic movies. In the End it had to be well worth it. Just look at the Franchise now, Admired world wide. Your thoughts? Comment down below. Let me know if your a fan and if you have made any sacrifices to help ones self and or others.